First introduced in 1995, the Mountain Hardwear Trangos series have become standard issue for mountaineering expeditions year-round. Teardrop-shaped front and rear doors conveniently tuck away, welded loops for securing the fly and a bathtub-style floor for better weather protection. 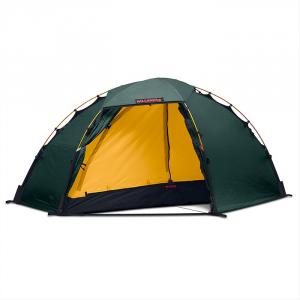 Mountain Hardwear Trango 3 Tent - The Trango 3-Person Camping Tent by Mountain Hardwear is a premier four-season tent that excels in the toughest conditions. 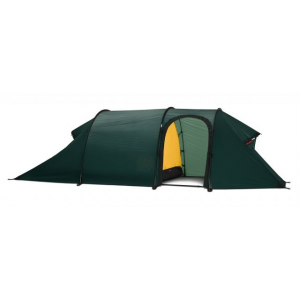 An extremely refined shelter, the Trango 3 features industry leading DAC poles combined with a fully taped fly, taped bathtub floor construction, welded corners and guy clip anchors. The tents dry-entry vestibules offer additional room in the front and rear, teardrop-shaped doors conveniently tuck away, and a zippered thru-vent help reduce condensation. Mesh storage pockets keep your gear off the ground, and a window brightens the interior. 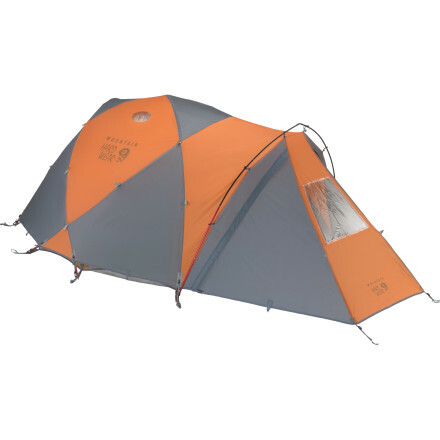 Whether you are on a storm-battered snow ledge, or an Everest base camp, you will be glad you have the Trango 3-Person Camping Tent by Mountain Hardwear. The Mountain Hardwear Trango 3 Tent is designed for winter mountaineering. 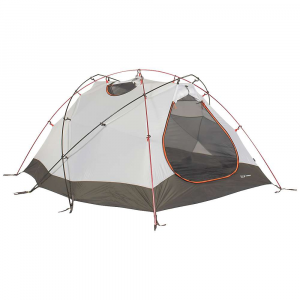 It's built strong and engineered to shelter 3 climbers in tough alpine conditions. 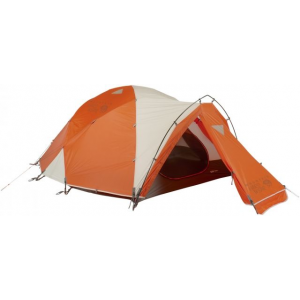 The Mountain Hardwear Trango 3 is not available from the stores we monitor. It was last seen March 6, 2019	at Moosejaw.